Fun, Intuitive, tough, simple, smart: a brilliant reinvention of the FIRST legend! Kitted out ready to hit the race course. Beneteau First 14 - Ref 33406 has been saved to your account. Designed by Sam Manuard, the First 14’s planing hull strives to achieve the best compromise between speed and stability. The dinghy’s double centre-board casing means that she can be sailed solo (centreboard further aft and cat rig) or two-up (centreboard further forward and with a set of three sails). With a sail area varying between 8.5 and 21.5 m², the First 14 is highly adaptable and suited to all levels of ability. Designed for a wide range of crew sizes and weights, the cockpit has several seat heights. With a set of removable wheels, every detail on the First 14 aims to simplify sailing in every way. 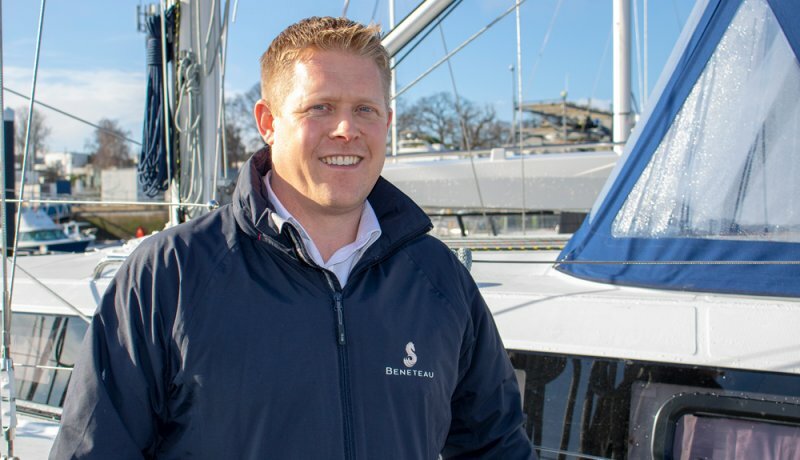 Stuart is the Brand Manager for Beneteau Sailing Yachts. He has recently qualified as a commercially endorsed Yachtmaster as boating has been a big part of Stuart’s life for both work and pleasure. Stuart brings much enthusiasm as well as a wealth of knowledge in many aspects of the marine industry.